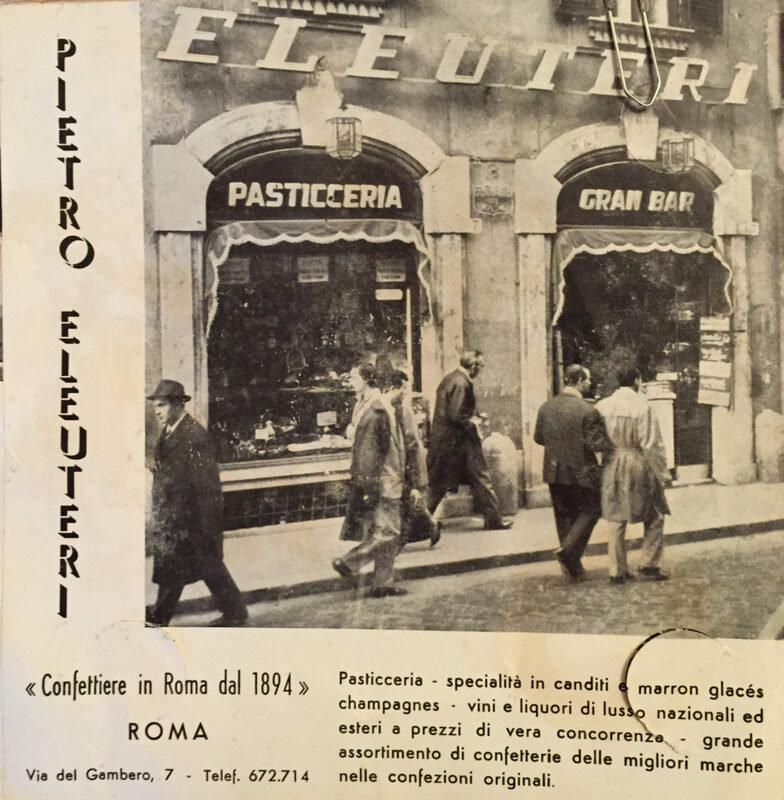 The prestige of Eleuteri dates back to 1897, when the elegant café was opened in Via del Gambero in Rome, just off the Spanish Steps. It soon became one of the most renowned gastronomic settings of the country thanks to its original selections of pastry. 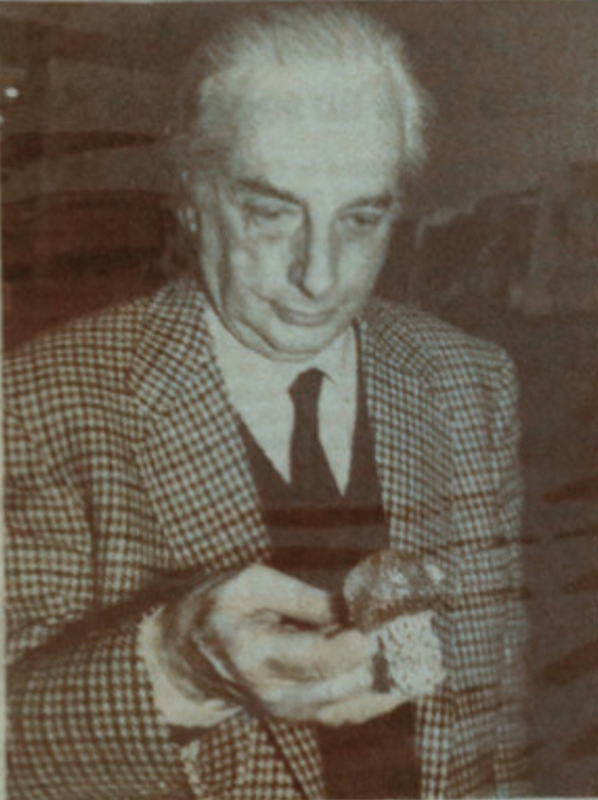 Pietro Eleuteri’s passion was that of collecting arts, which inspired his son Carlo to move within the spectrum of extravaganza, from patisserie to antiquities, then specializing in vintage jewels. 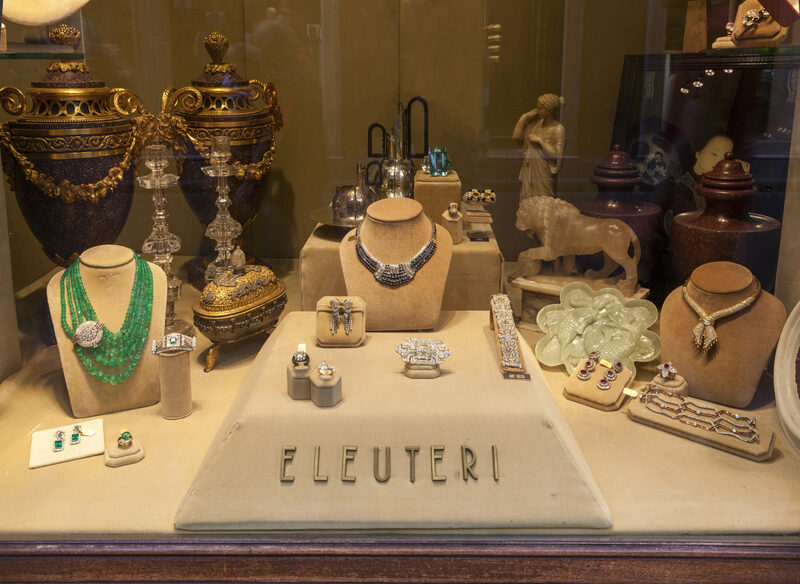 Today, Eleuteri is undisputedly regarded as Italy’s primary vintage and antique jewelry destination, boasting clientele from the Italian aristocracy to the international jet set. Collections of unusual vintage jewels by esteemed houses like Bulgari, Cartier and Van Cleef & Arpels sparkle inside the cabinets alongside 18th century Southern Italian coral items, rare silverware and baubles shining with the million hues of diamonds, rubies, emeralds and more, in a setting charged with prominent antique and modern works of art by artists such as Reynolds, Boldini, Balla, Fontana, Wildt, Burri, Boetti, Christo and Allen Jones, to mention just a few. Eleuteri has had the honor of lending its jewels and art works for exhibitions held at prestigious institutions like the The Royal Academy of Arts in London, The Gare d’Orsay in Paris, The Fortuny Museum in Venice, and The Bulgari Museum in Rome. The company’s historical headquarters are in Rome’s most eminent address, Via Condotti, while the other Eleuteri boutiques can be found in the high end shopping streets of Milan, Venice and Cortina, other than in New York, where Eleuteri set base at 780 Madison Avenue, between 66th and 67th street. The firm is often featured in worldwide remarkable magazines such as Vogue and The Wall Street Journal being recognized for its extravagant and trendsetting role within the industry. As per tradition, Wagner and Etrusca, respectively Carlo’s first son and daughter, have approached the family business as the fourth generation proudly carrying forward the Eleuteri heritage. As the heir of two of Italy’s finest jewelry dynasties, Wagner was born with a love for Jewels. 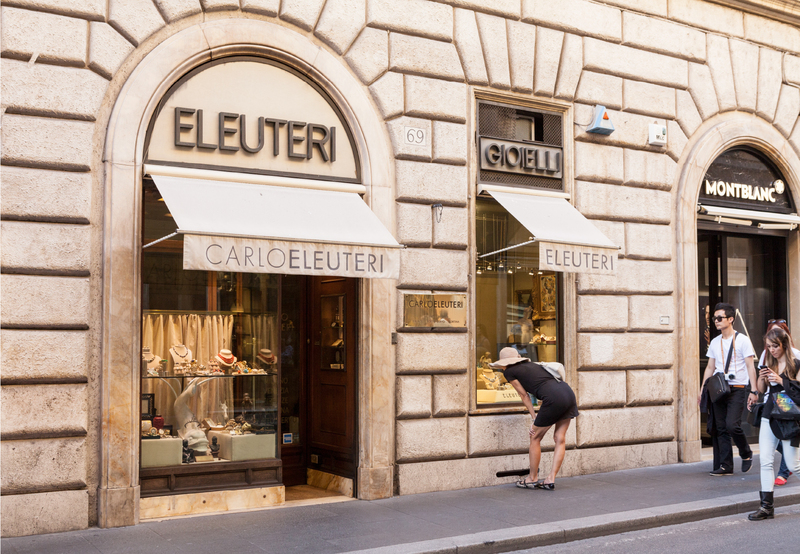 On one side, Eleuteri, associated with the finest of arts and luxury since 1897. On the other, the aristocratic Rizzoli family through his grandfather, the late Venice based jeweler Herriz, whose profound passion for the work of Carlo Scarpa led him to commission the design of both his boutique and showroom on Calle XXII Marzo, San Marco, which housed a magnificent collection of antique and vintage jewels. Born to a Roman father and a Venetian mother, Wagner lived in Rome until the age of sixteen, when he left the beautiful Italian peninsula to attend the prestigious Sevenoaks School in Kent, UK, there receiving the International Baccalaureate diploma. Following his time in the UK, he travelled to New York to complete the Graduate Diamonds program with maximum grades at the Gemological Institute of America. The culmination of his academic career was admission to the London School of Economics to read International Relations, graduating with an Upper Second Class Honours Degree in June 2010. Upon the conclusion of his educational path, Wagner immediately entered the jewelry industry. He began in Jaipur, India, where he worked at The Gem Palace, a most remarkable jewelry entity. 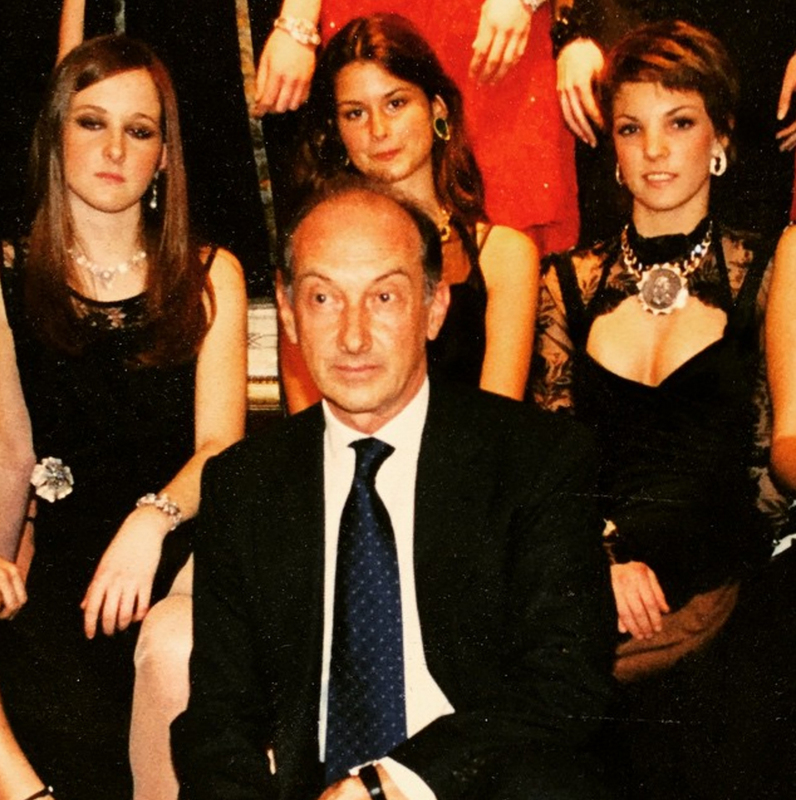 He then returned to Italy to run the Eleuteri firm alongside his father Carlo, grasping the eclecticism and know-how required in the niche field of precious vintage jewels and objects of vertu. In his managerial role at Eleuteri he was exposed to the myriad facets of the industry; from procurement to sales, marketing to public relations. In the fall of 2014 Wagner’s cherished dream of opening a store in New York, as the first of several international locations, began to gain traction. 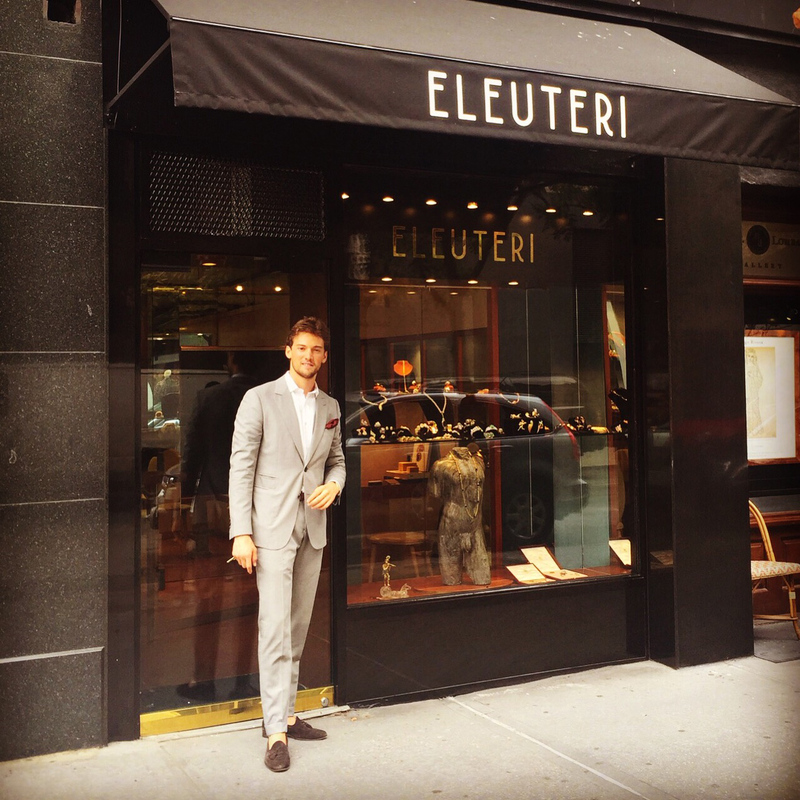 Less than a year later, in August 2015, that ambition became a reality when Eleuteri inaugurated a boutique in Manhattan, currently at 780 Madison Avenue. Born in Rome in 1950, Carlo was soon exposed to the fascinating world of antiques. Though the owner of a most renowned Roman café, his father Pietro was a passionate collector of Arts. 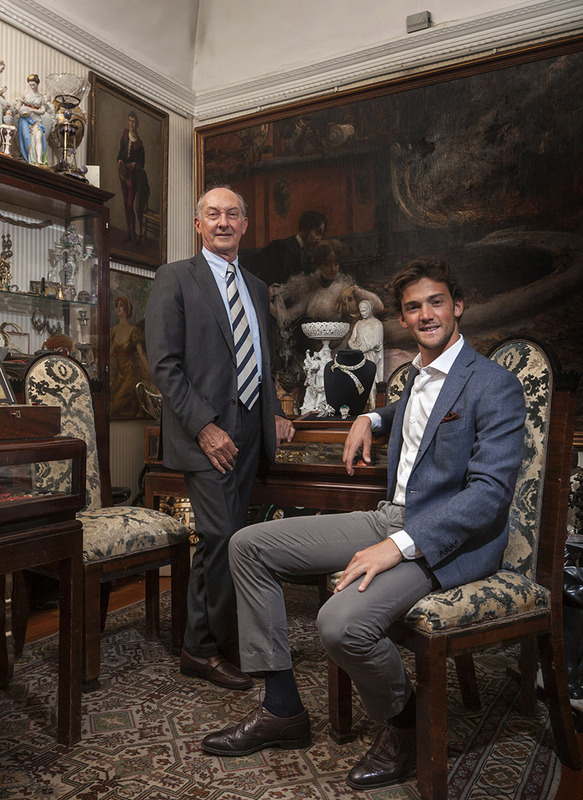 When the latter unexpectedly passed away while Carlo’s teenage years were still blooming, the Eleuteri family decided to move away from gastronomy, towards the trade of antiques. Carlo soon became the main household supporter and opened his first shop in 1972 as an intrepid 21 year old, in the southern Italian beach town of Maratea. Here, he stumbled upon estate jewels, when an old lady walked in offering him a long lariat necklace. He acquired it, unaware that one hesitant choice would have turned into his lifetime path. With some skepticism, he placed the piece in the tiny shop window. It sold the next day. Later the same week, another lady walked in asking if it was true that he bought old gold. What she had was a pair of chunky earrings and an equally showy bracelet. Carlo bought them, put them in the window, and a couple of days later they too were gone. And with that, a specialty in vintage jewels was born. Today, in addition to his eternal Roman flagship, Carlo Eleuteri has satellite boutiques in the most exclusive shopping streets around the country as well as in New York. 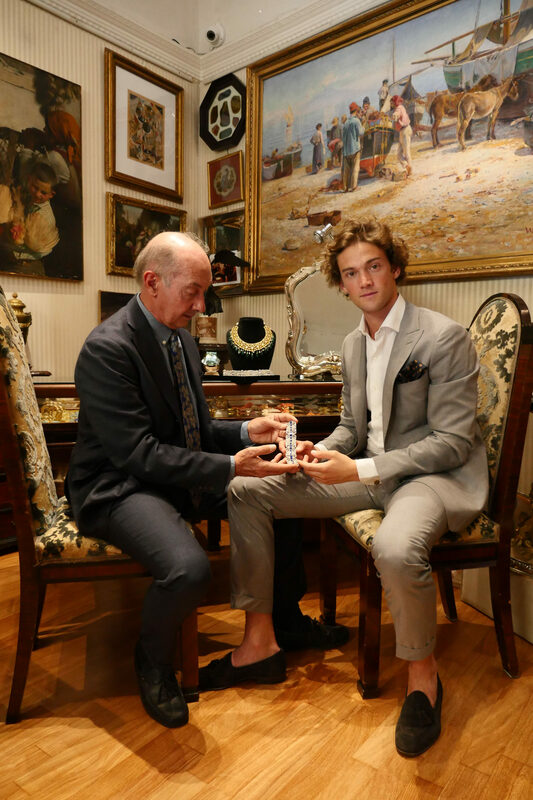 Other than being recognised as a global leading figure in the world of antique and vintage jewels, Carlo is also a devoted art collector, as per family tradition, though with a twist. His collection is an extremely variegated gathering of paintings, sculptures and unusual objects from several periods: from large portraits by Boldini to Allen Jones’ provocative pop art; from 18th century Chinese Jade to Lucio Fontana’s Cuts, from 19th century silver gilt Indian furniture to Italian Futurist masters. A true lover of excellence, rarity and extravagance. With six stores globally, Eleuteri is indisputably regarded as one of the world’s primary sources of antique and vintage jewelery. With further global expansion plans on the horizon, visions of strategic new product developments, and Wagner’s sisters Etrusca and Vesta soon to join the company, the possibilities are endless! 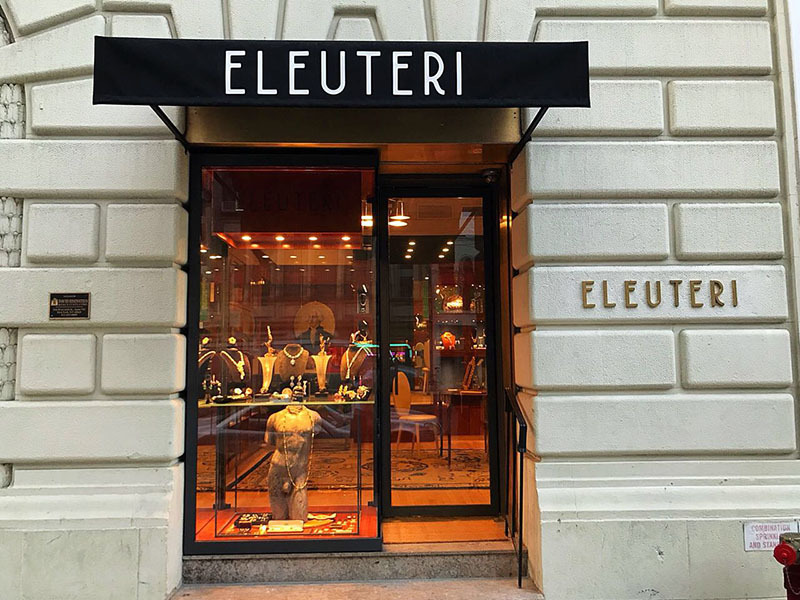 In 2015 Wagner initiates international expansion with a bang, opening the first Eleuteri store outside of Italy on 69th street in New York. He also strengthens the company’s online presence, as well as communications and marketing strategies. Carlo and Wagner currently acquire pieces from all over the world. 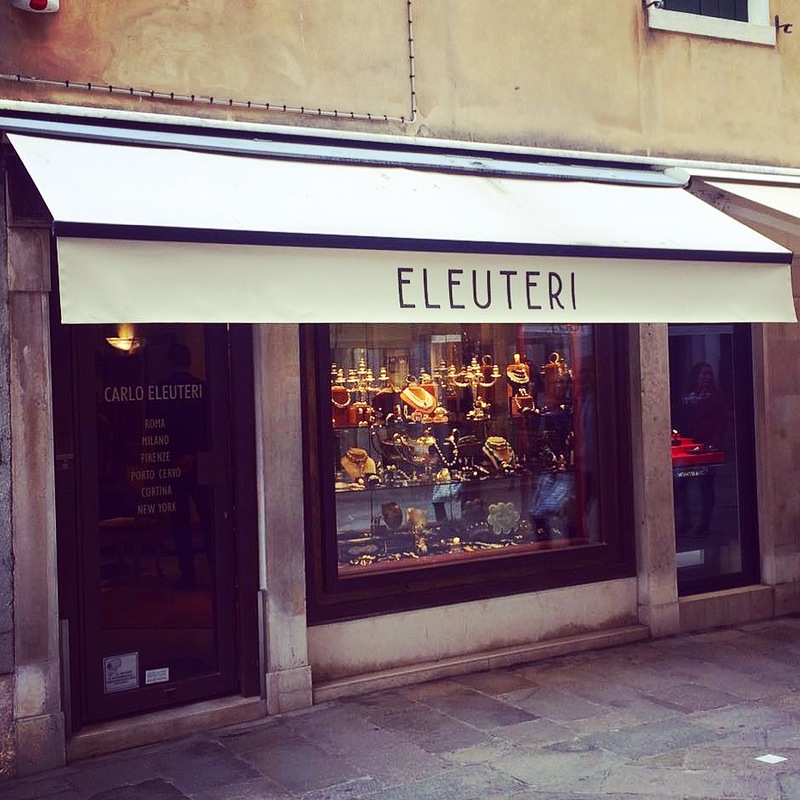 The total number of pieces available at Eleuteri stores worldwide numbers in the several thousands. In 2014 Eleuteri exhibits at the prestigious Masterpiece London Jewellery and Art Fair. the Musée d’Orsay in Paris, and The Fortuny Museum in Venice. Left: Allen Jone’s Barely There, 1969 and Giovanni Boldini’s Mademoiselle de Nemidoff, 1908.
and works in New York’s Diamond District. In 2012 he then joins the family firm, and with great drive and ambition propels it into the 21st century. Eleuteri count some of the world’s most prominent people as clients, including Karl Lagerfeld, Elton John, Silvio Berlusconi, as well as countless celebrities and socialites. 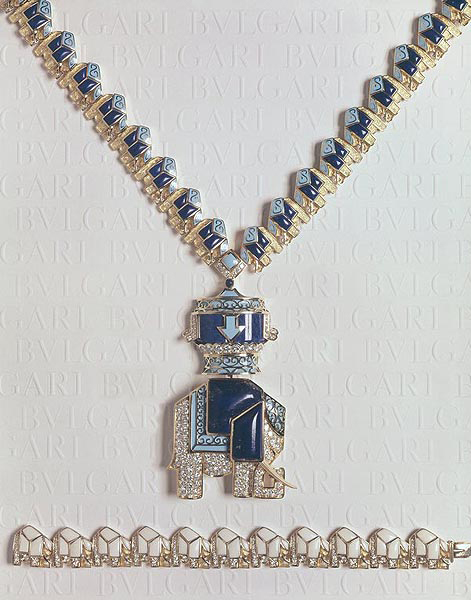 In 2007 Carlo acquires an outstanding lapis, diamond and enamel elephant necklace by Bulgari, circa 1970, formerly owned by an African royal family. 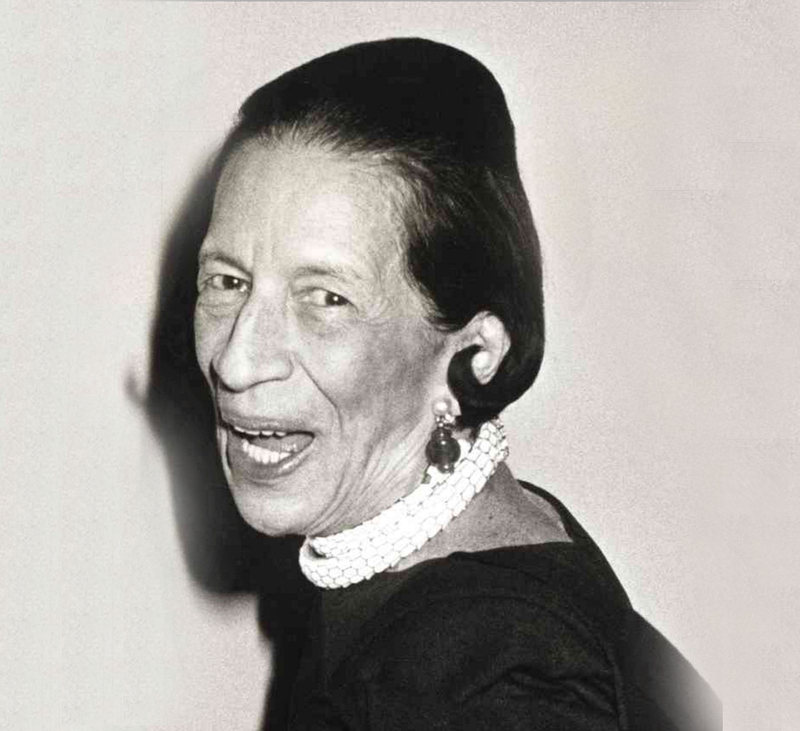 In 2009, Bulgari launches its first retrospective exhibition in Rome; they feature several pieces from Eleuteri’s collection that are highlights of the show, including an original Serpenti design made especially for Diana Vreeland, an extravagant belt that she wore as a necklace. After Rome, the jewels travel to additional blockbuster exhibitions in Paris, Beijing and Shanghai. 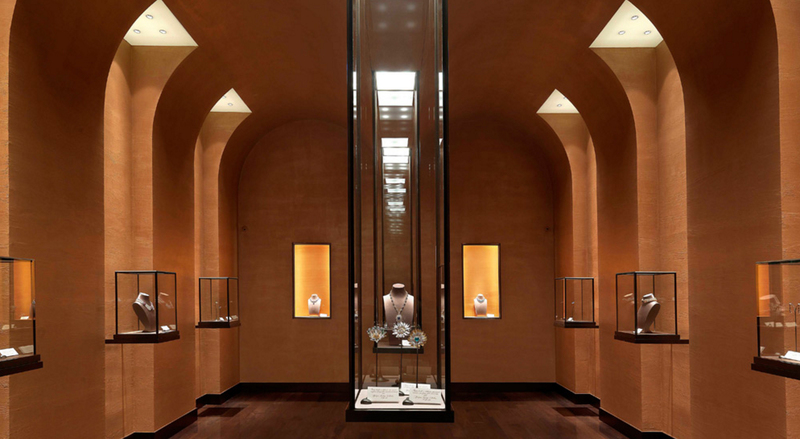 Ever since the Shanghai exhibition, Bulgari has worked with Eleuteri as a main source of jewels in their permanent heritage museum in Rome, as well as for their worldwide touring exhibitions. In 2005 Carlo opens a sixth store on Calle Larga in Venice. 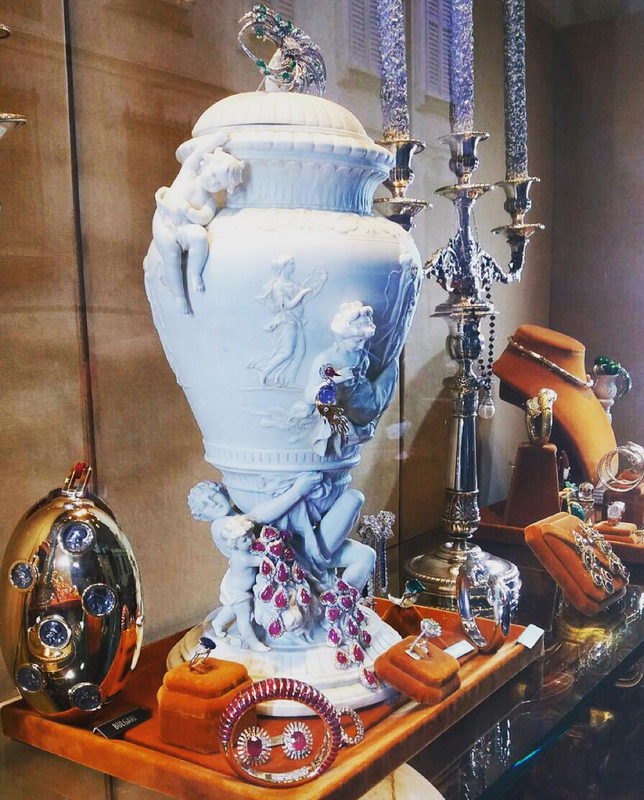 The boutique is in the exact location where his celebrated father-inlaw, Erminio Rizzoli, ran his jewelry business. Carlo Eleuteri sponsors the restoration of the beloved Buccolini pipe organ at Rome’s legendary Teatro dell’Opera. The theatre is known around the world for its excellent acoustics; however prior to the restoration, they were unable to use the organ for more than fifty years. Left: photo from the event. Of note is the humongous Bulgari Monete necklace worn by the model on the far right. It is currently in the Bulgari Museum in Rome. Carlo opens a fifth store in Florence. 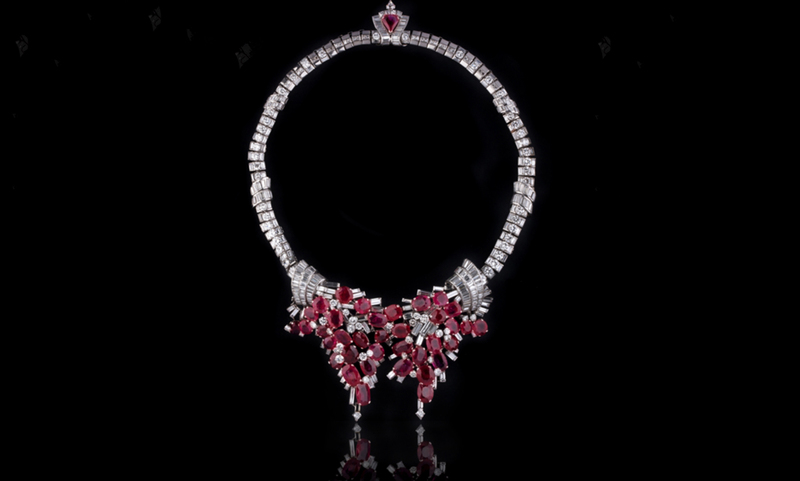 In the early 1990s Carlo acquires one of Eleuteri’s most remarkable pieces: an exceptional Cartier necklace made with over 100 carats of natural Burmese rubies and diamonds, circa 1938. The store’s success leads to a second satellite boutique on Milan’s Via S. Andrea, as well as seasonal shops in Cortina d’Ampezzo (in Northern Italy’s Dolomite Mountains) and Porto Cervo (on Sardinia’s Costa Smeralda). Eleuteri acquires the Torlonia Emerald, a 415 carat sugarloaf Colombian emerald, carved with a heart shaped motif in India in the mid-nineteenth century, once owned by an esteemed Maharaja, before passing to the Torlonia family just after WWII. 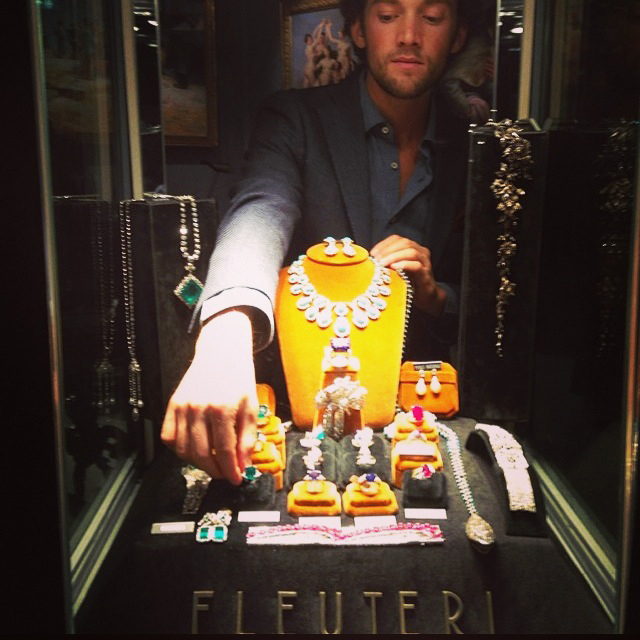 Left: Duke of Torlonia handling the enormous stone and Eleuteri Milan store vitrine. In 1981 Carlo meets future wife Lodovica at a Christie’s auction in Geneva. 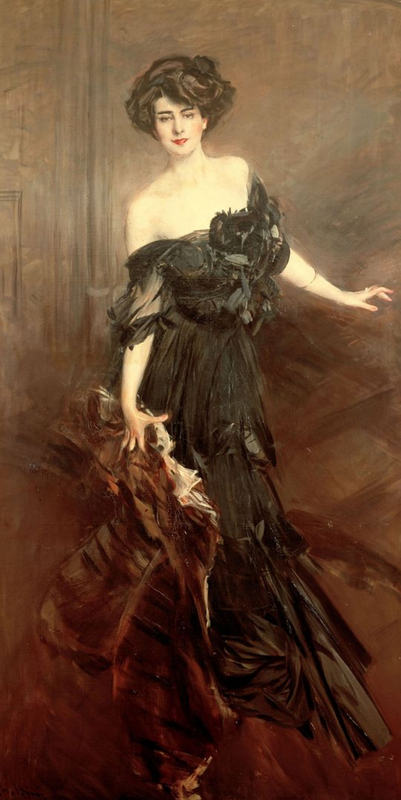 Lodovica’s father was the Venice based jeweler Erminio Rizzoli, known as Herriz. His profound interest for the work of Carlo Scarpa led him to commission the design of both his boutique and showroom on Calle Largo XXII Marzo, San Marco, in Venice, which housed a magnificent collection of jewels and important gemstones. 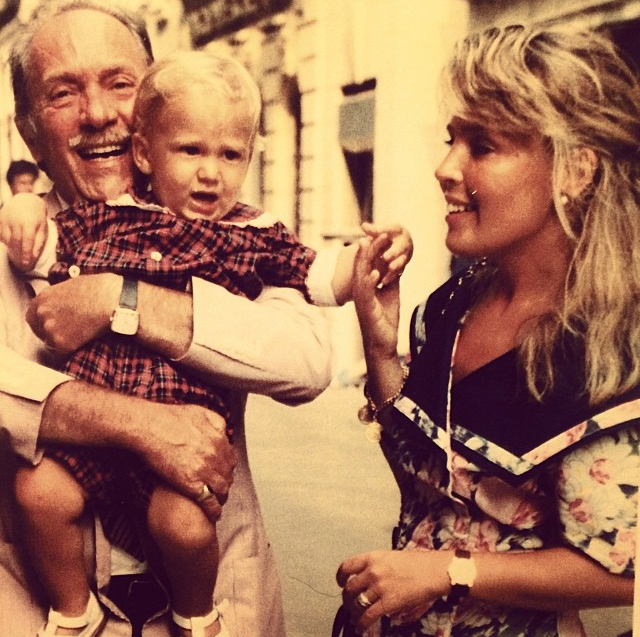 Left: Herriz and Lodovica Rizzoli with Wagner in Venice in1990. 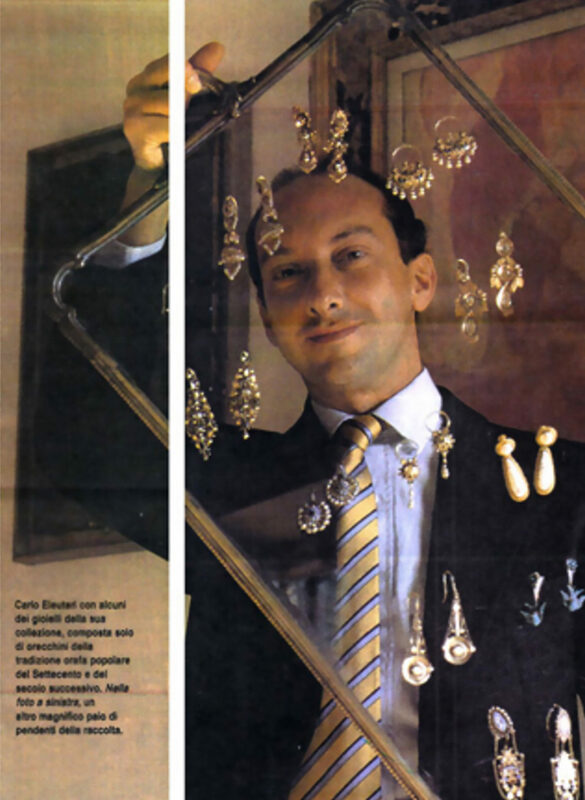 In 1983 Carlo relocates his store directly onto Via dei Condotti, Rome’s most exclusive shopping street. 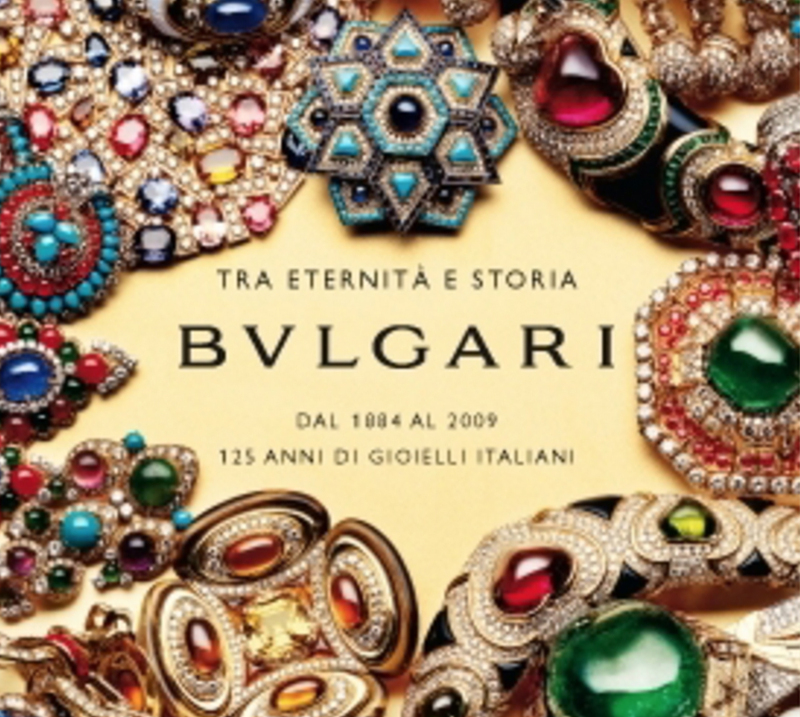 Some of Carlo’s new neighbors include Bulgari, Valentino and Buccellati. Carlo decorates the interior to resemble an enchanting and elegant Wunderkammer, a cabinet of curiosities filled with treasures. Nineteenth-century art hangs on the walls (covered in shimmering ivory fabric), and vitrines overflow with precious objects of all kinds – necklaces and bracelets in coral and ivory, strands of natural pearls, silver candelabra, inlaid and jeweled compacts, decanters and extravagant sets of tableware. The shop’s colorful window displays become irresistible to passers-by, gathering regular throngs of observers. 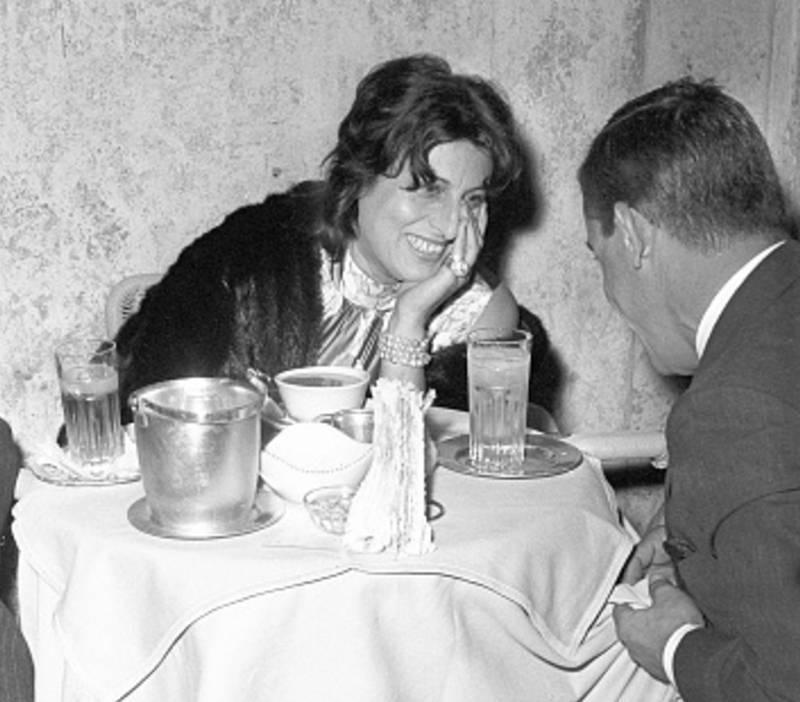 Carlo’s impressive clientele of bold faced names includes Gianni Versace, Diego della Valle Miuccia Prada, Karl Lagerfeld, and the Fendi sisters. 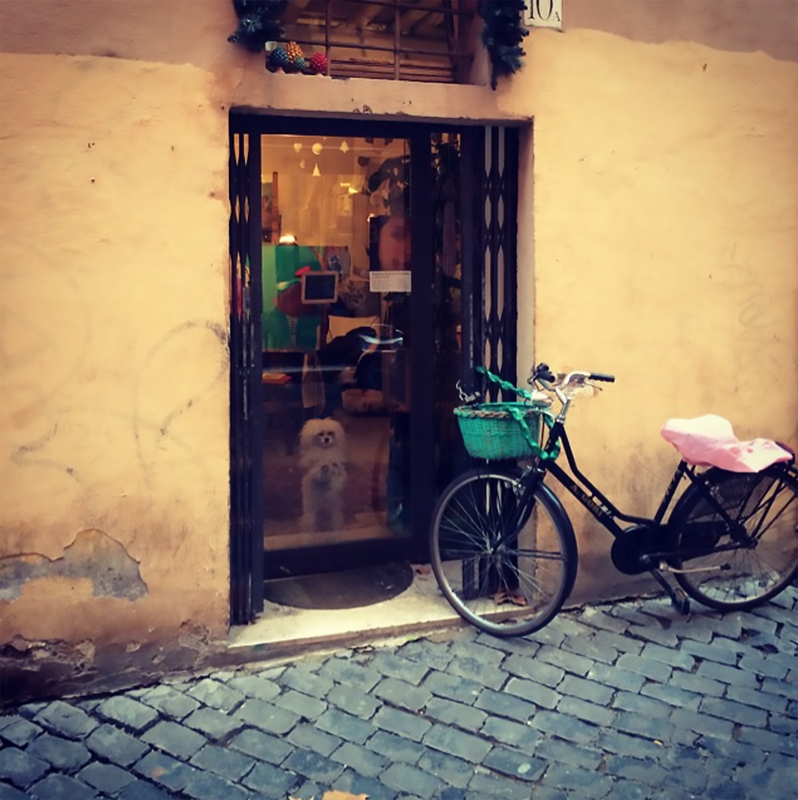 Carlo’s success in Maratea allows him to open his first store in Rome on Via del Fiume where he sells primarily jewelry, along with art and other precious objects he finds all over Italy. By 1977 his business has grown exponentially and he moves into a larger space on Via Mario dei Fiori. Left: Via del Fiume store. 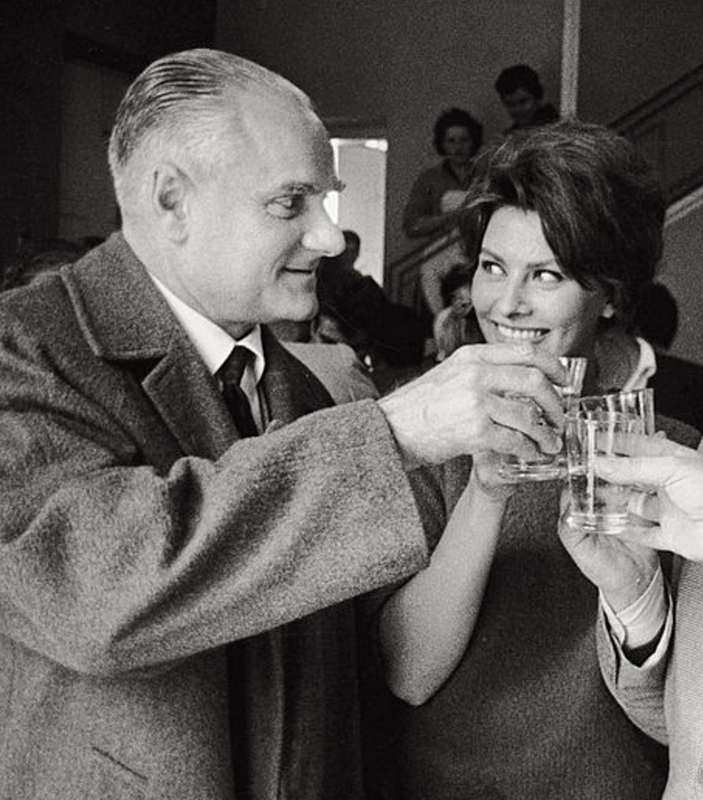 Upon Pietro’s death in 1967, his son Carlo enters the business with the help of his mother Angiola and older brother Egidio. Now an intrepid 21 year old, Carlo has inherited his father’s love for collecting and opens his first tiny shop in Maratea (a tony beach resort in Southern Italy), where his sole focus is antiques. One day he stumbles upon the world of jewelry when an elderly woman dressed in black veils enters the store and offers him a gold lariat necklace. He places it in the front window, and it sells the next day. Unaware that this will change the course of his life, Carlo greets a second lady who presents him with earrings and a bracelet. A few days later they too are gone. He tenaciously adds jewelry to his business and begins collecting 19th century Southern Italian peasant jewels. 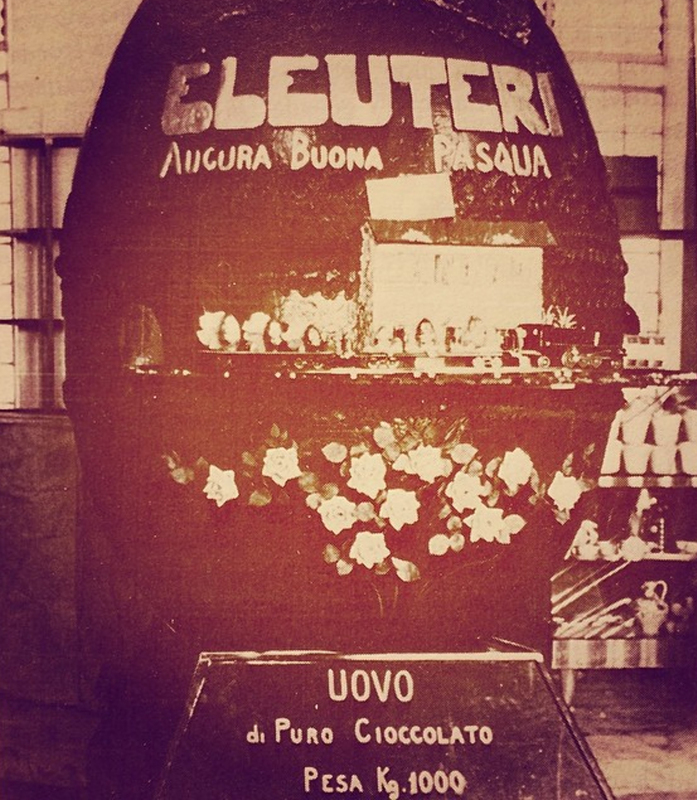 After WWII Pietro Eleuteri delights people all over Rome with his spectacular Uova di Pasqua, elaborately decorated chocolate Easter eggs, always with extraordinary surprises inside. Each year the press and other admirerers flock to his café to witness the unveiling of these enormous, 7 foot tall eggs. Usually the surprise inside is an extravagant child’s toy, like an electric train set moving on tracks throughout the interior of the egg. One year the egg hatches to reveal a 4 year old Carlo, dressed as a blond cherub. Left: Eleuteri chocolate Easter egg. Weighing over one ton, it is made entirely of chocolate. Egidio’s son Pietro takes over Gran Bar Eleuteri. He develops a great passion for collecting antiques, and displays these treasures throughout the café, establishing an elegant and luxurious interior. 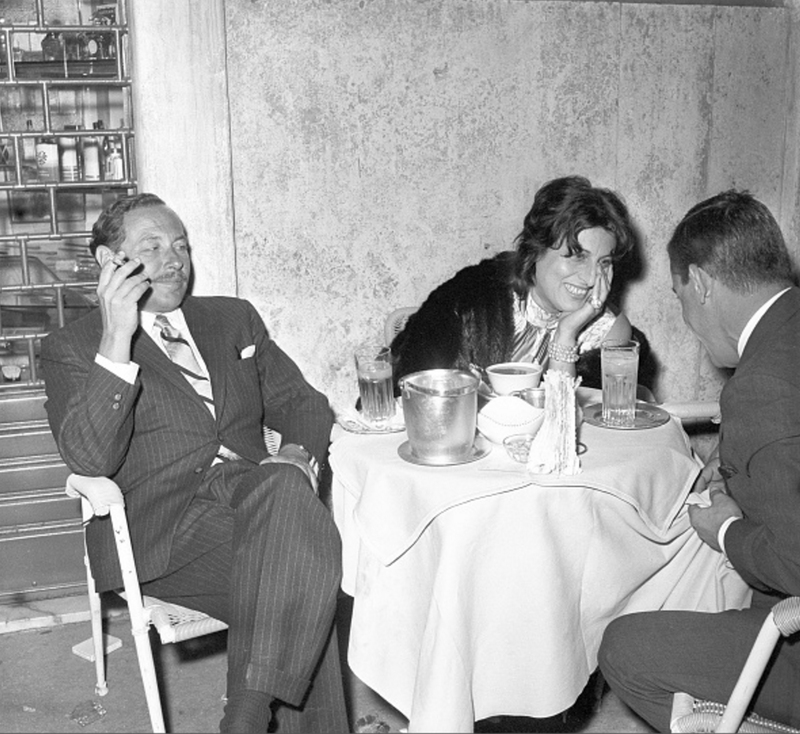 Throughout the 1940s it becomes a favorite destination for Roman aristocracts, actors, artists, politicians and writers: actress Anna Magnani, writers Carlo Levi and Alberto Moravia, Count Geraldini and the Duke of Torlonia are among the regular clientele. The visitors repeatedly praise Pietro’s collection of objets, and he ponders the idea of selling them. Egidio Eleuteri opens an eclectic and elegant Gran Bar in Rome on Via del Gambero, located near Italian Parliament. In the early 19th century, the Eleutheri (ἐλευθερία, Greek word for “freedom”) family leaves Greece and ends up settling in Castelluccio di Norcia in Umbria, the town from which originated the Benedictine Monks of the Order of St. Benedict. 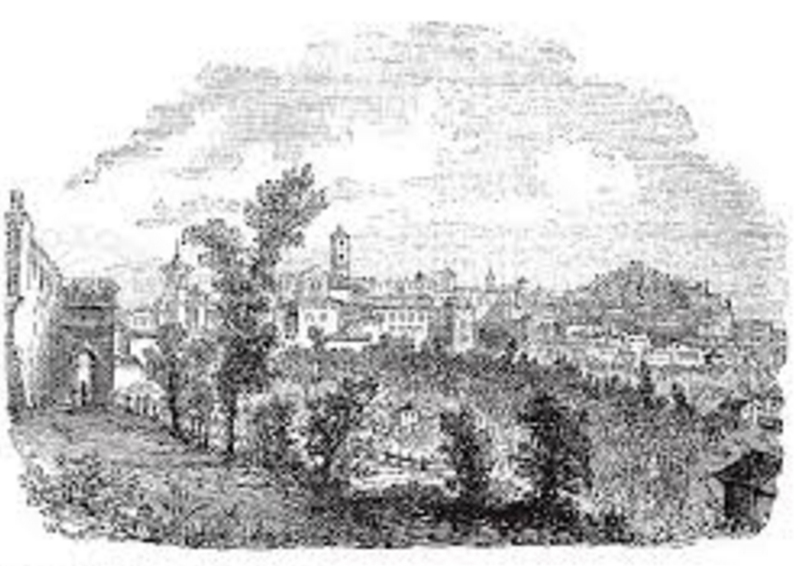 In 1894, Egidio Eleuteri, third generation of the Italian Eleuteri family makes a 4 day, 100 mile pilgrimage on foot from Umbria to Rome in pursuit of better fortune.